Groovy Joe: Ice Cream & Dinosaurs Review! I partnered with Scholastic to offer this giveaway, opinions are my own. Ready for a FUN book that your kids will enjoy? Groovy Joe: Ice Cream & Dinosaurs is probably that book. It's a great read that my 1st grader just couldn't get enough of! This book came out on August 30, and is perfect for kids ages 3-6. 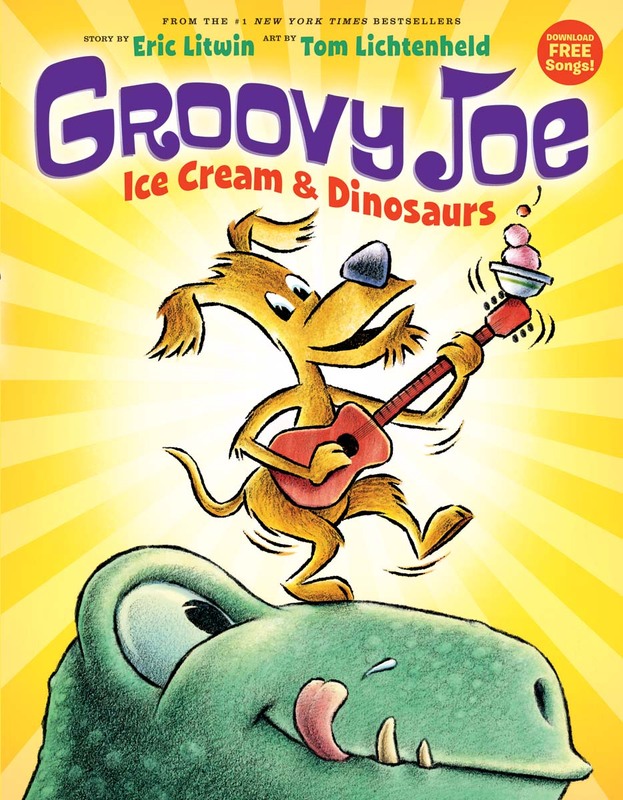 In the book, a fun-lovin', guitar-strummin', ice-cream-eatin pup takes on three hungry dinosaurs and gets them to enjoy his way of life as they sing and dance and eat ice cream, too! If you love Pete the Ca: I Love My White Shoes, you will love this book. Done by Illustrator Tom Lichentenheld and author Eric Litwin (who wrote the first four Pete books), this book combines a great main canine character and all kinds of silliness and fun. 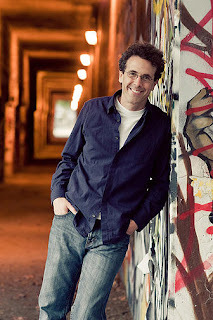 Eric Litwin is a #1 New York Times bestselling author who merges music and early literacy together. He is the author of the first four Pete the Cat picture books and the exciting new musical series The Nuts. 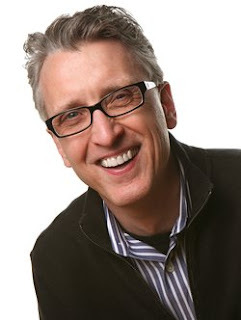 Eric's books have sold more than 6.5 million copies and won eighteen state and national awards, including a Theodor Geisel Seuss Honor Award. Eric is a popular performing artist who plays guitar, sings, tells stories, and brings books to life. Visit him at ericlitwin.com. Visit Scholastic.com for more information and to hear the free downloadable musical performance of the book in English OR Spanish. Or check out the Spanish-language site here! 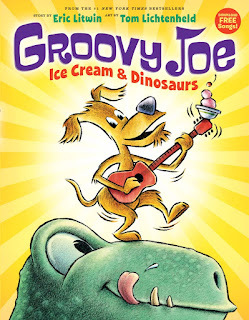 Follow Scholastic on Twitter, Facebook, and Instagram, and share about this great book using #GroovyJoe! You'll be informed when the next book in the series Disco Party Bow Wow, is released in Fall 2017! Giveaway open to US addresses only. Prizing and samples provided by Scholastic. Enter below by September 26th at 11:59 pm EST. 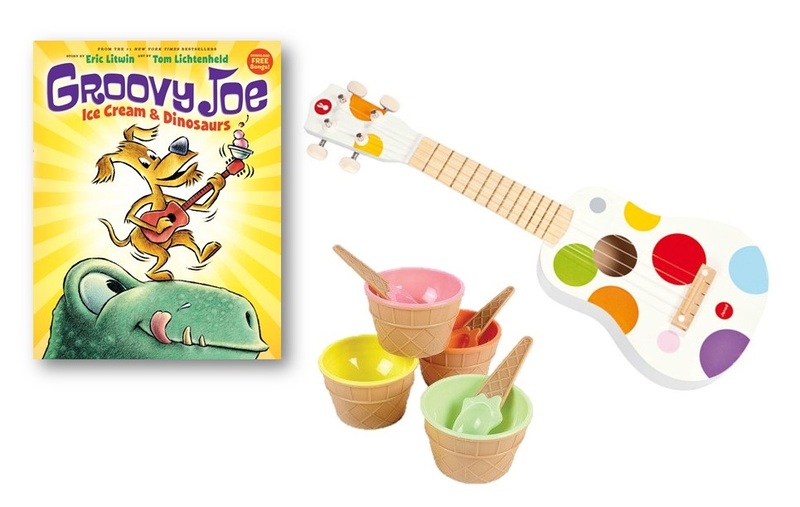 Groovy Joe Ice Cream and Dinosaurs sounds like it would be a fun book to read with my grandchildren. They love books and ice cream and what could be better than to add a few dinosaurs. Thanks for letting us know about this book and the giveaway, too.